And this is a hard one, given the wheel continued to age after it was retired from service, but can any crewchiefs here tell how much wear this wheel appears to have...i.e. does it look like a wheel that was used only once or twice and then taken off, or is it just not possible to tell? Sadly even in six years of chiefing I didn't change that many wheels, nor get good looks at the insides of most of them. With a manufacture date of Feb '37, it may not have gotten that much use regardless, unless it was swapped in from some other high-use plane. Hmm...does anyone have more on this crash/mishap? Searching TIGHAR now to find a date. Photo caption: "Amela Earhart escaped injury in this pile-up off the end of Lockheed's runway at Burbank, CA. Shortly after this photo was made, Earhart and Noonan disappeared on their Round the World flight, May 20 - 3 July, 1937." In the Warbirds thread, the woman asking about the "rim" recently said it could have been Burbank rather than Oakland where her g-grandfather says the work took place; she's going to ask her grandfather. 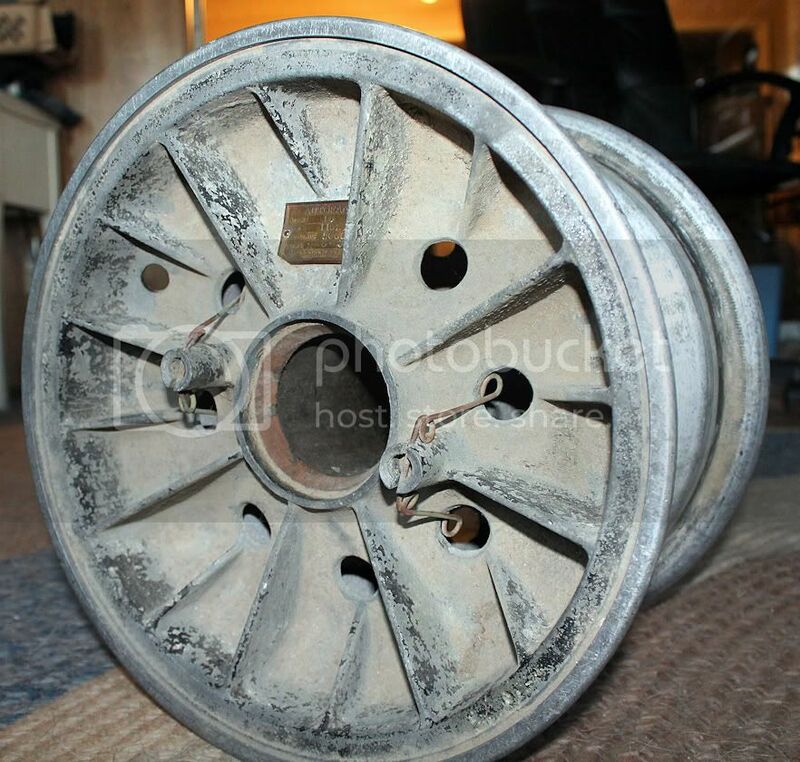 If that wheel is indeed from an Electra 12 instead of 10, would that lend credence to the theory that AE might actually have been associated in some way with the Burbank "mishap" after all? No. It would simply indicate that the person who thinks the wheel has some association with Amelia Earhart is mistaken. Happens all the time. Objects linked to Earhart are worth money. I have a dim recollection of having seen this photo on the Forum before, but I cannot find it now. But I recall that it was noted at the time that just aft of the open cabin door there were signs of some kind of Photoshopping to obliterate a logo, and that this is not an aircraft having anything to do with AE. Maybe Ric has seen this picture elsewhere. Apparently an Electra 12 used at some point for the film Rosalie, and according to analysis in the article, called the date into question as being too late to have anything to do with AE.